Have you ever wondered how the GAA Athletes at the top levels get the edge over everyone else? Have you found yourself wishing you had a bit more muscle and strength to take the hits and withstand tackles? Do you want the confidence of knowing you’re going out onto the field, having ticked all the boxes in your preparation? Do you want that feeling of still having fuel left in the tank when it comes to the last 10 minutes of the match? Guidance around what are the most important and least important factors with regards to GAA nutrition. Guidance around setting up your calorie and macronutrient requirements, with access to the Gaelic Athlete Nutrition Calculator, as well as how to track your food intake. Information around the types of foods to eat, with a shopping list. Food timing strategies regarding how many meals to eat per day, carbohydrate loading and what to eat around training and matches. Tips on how to eat less without getting hungry. Answers to your nutrition questions regarding the program, via email. Check out what a few out of the hundreds of athletes who’ve gotten the programs have to say below! 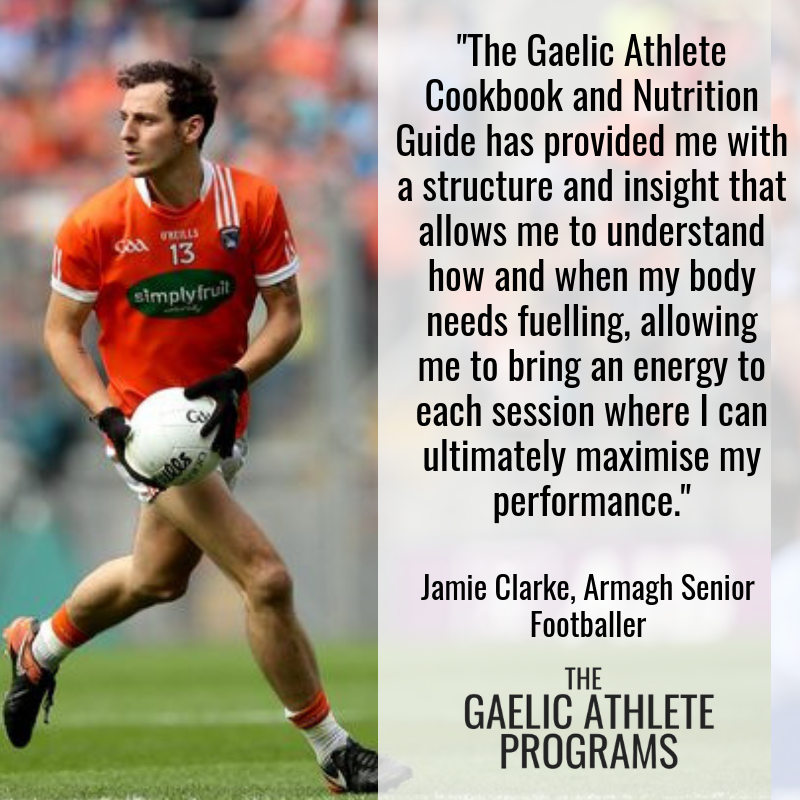 If you’re ready to finally take control, and optimise your nutrition for GAA, now is the time to take action and get your hands on the program!